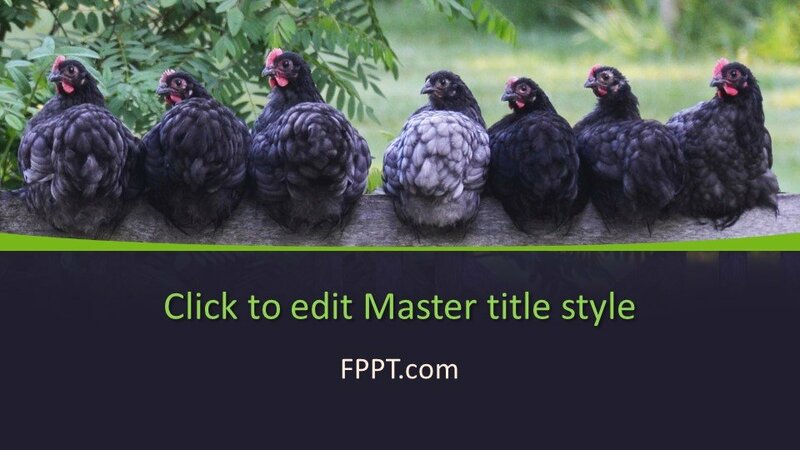 Poultry covers a wide range of food necessities of mankind. 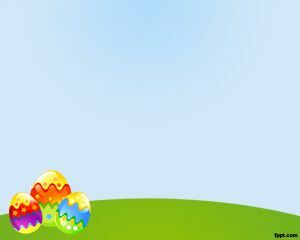 Its meat, eggs, and soup are awesome food items. 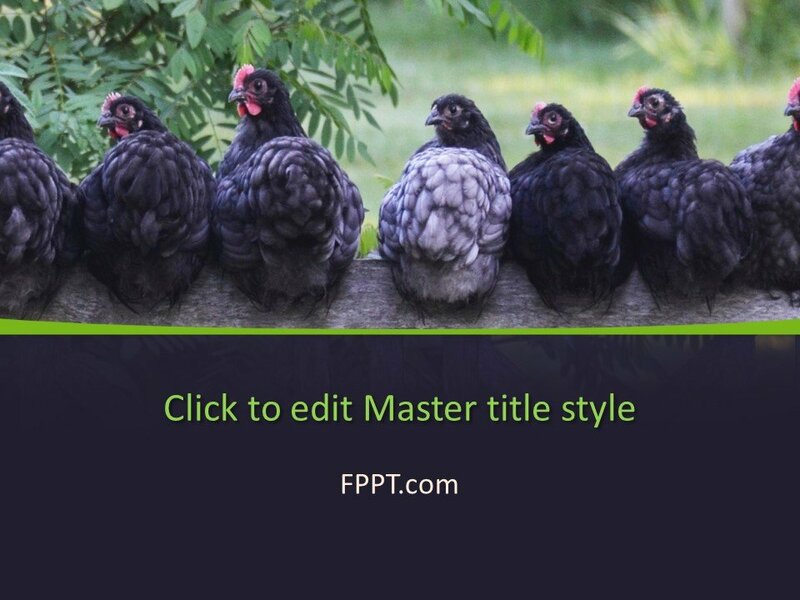 In the background image of the template, design hens are sitting on a wall and giving a rural domestic atmosphere. 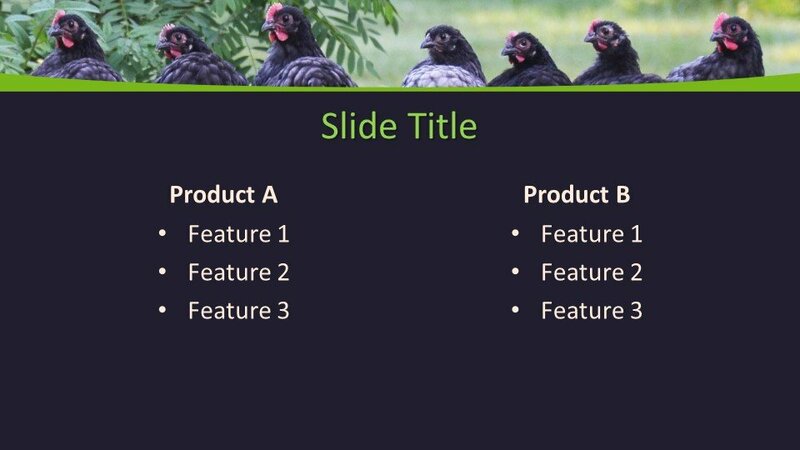 Free Hen PowerPoint Template is a wonderful background design for using it in the presentations of poultry business, poultry advantages, eggs, and meat or chicken for slides for making meetings and discussions. 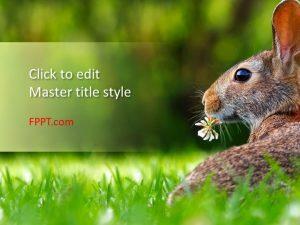 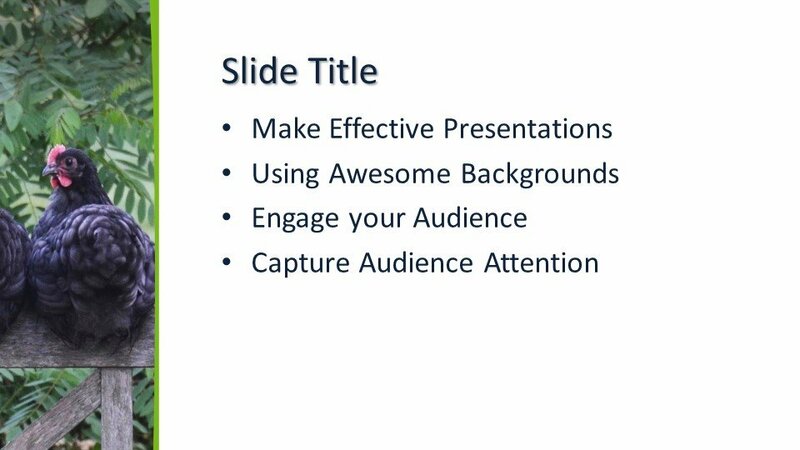 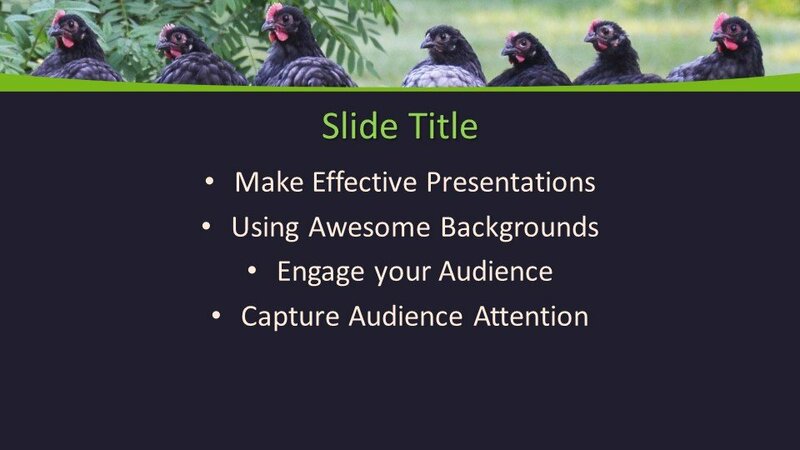 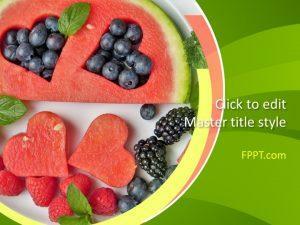 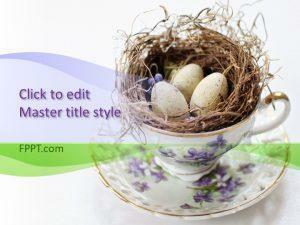 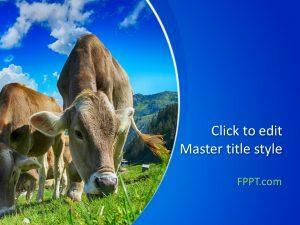 The template design is free of cost for you to make awesome PPT presentations with the natural image of hens. 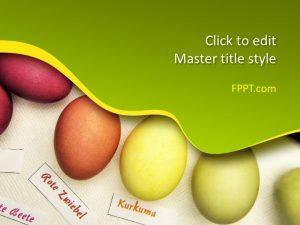 The design is made compatible with all latest versions of Microsoft PowerPont and easy to customize with any latest version of PowerPoint software.